Farmland preservation is a hot topic in Michigan. 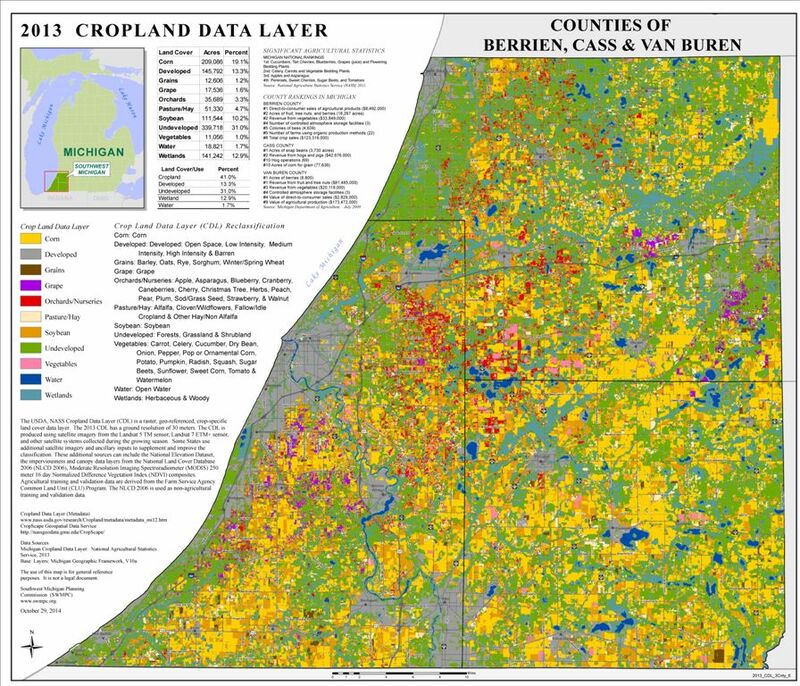 The Land Policy Institute at Michigan State University has a focus area on Farmland Preservation. 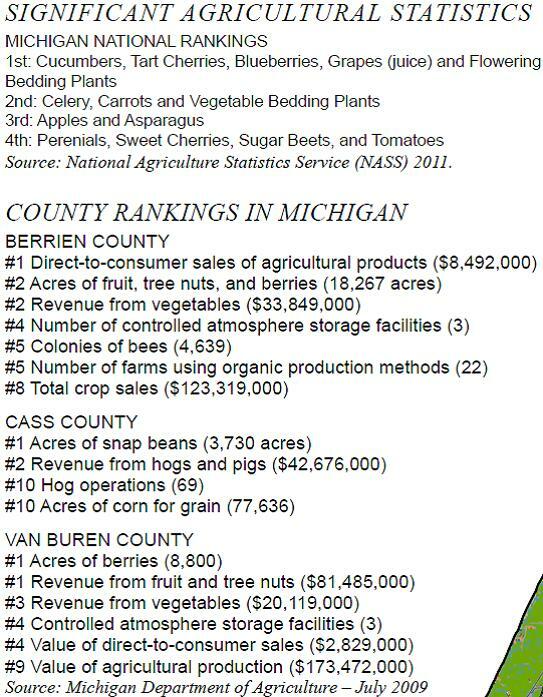 Both Van Buren County and Berrien County have Farmland Preservation Programs. Agriculture is very important to southwest Michigan's economy. 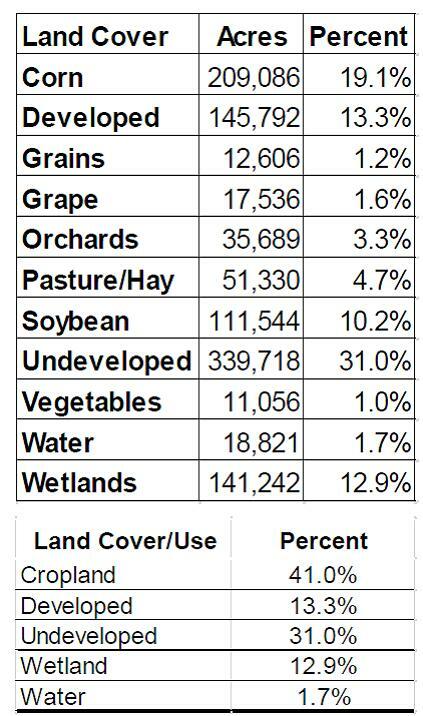 The Land Cover in Berrien, Cass and Van Buren Counties is mostly agriculture! The links below provide information on agriculture in southwest Michigan. This page last updated on 12/22/2014.